Octopus Books deserves a lot of love. They publish great works. 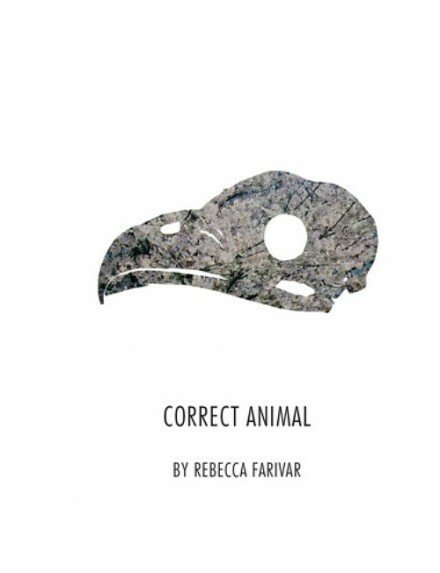 Have you read Rebecca Farivar‘s Correct Animal? Don’t underestimate these words – they are tiny, unthreatening poems dusted across the pages, you will look at them and think, ‘oh, this is something I can handle’ but read them, pick yourself up from the floor and re-read them, these small words pack a heavy punch and have a broad wingspan, they take off and pay you no mind.